I spend a lot of time reflecting on the nature of human beings and what we need to be fully human. In that quest is an acknowledgment that humans don’t always live up to their potential – that, in fact, we frequently underachieve or leave unrealized what is in our nature to become. Perhaps due to the ambivalent “gift” bestowed on us by God or evolution, referring to our ability as self-conscious choosers to determine our own destiny, ours might be the only species on this planet that routinely frustrates its natural design. There is in the apple seedling an impetus or inherent purpose that drives development towards becoming a mature fruit-bearing apple tree. Nature has provided us with something similar, but our self-actualization takes us far beyond physical maturity and reproductive fitness. The analogy is still provocative, however: If apple seeds are intended to become apple trees, what is the analogous evolutionary ideal that is even now tugging at our genes, shaping our personalities, and luring us in the direction of human fulfillment? Almost two and a half millenniums ago, Aristotle named this internal impetus or inherent purpose the entelechy of a living thing, an inner aim that guides development to its natural completion. Apple trees just “go with the flow” and attain self-actualization practically every time, while human beings, with our self-conscious free will, end up getting in our own way and almost always make a mess of ourselves. In this post I will present a theory of human needs, about what we need to be fully human. Instead of categorizing these needs according to where they fit among the “stacking” intelligences of our physical, emotional, intellectual, interpersonal, and spiritual aspects – exemplified most famously in Maslow’s “hierarchy of needs” – I will consider the possibility that our needs as human beings are not so stackable and complementary, but are rather inherently in tension with each other. To satisfy one need puts a strain on other needs; and to hold on to satisfaction – or to think that we can “get it” and be done – around any of our needs will tend to generate anxiety and ultimately depression, insofar as the latter is a state where we lose hope of ever finding what we really need. This inherent tension among our needs, along with our tendency to get hung up in anxiety or pulled down into depression, might make us wonder whether our species represents a failed experiment of nature. We got loaded with a set of needs that is impossible to satisfy as a whole. Maybe. My diagram above lays out what I regard as our evolutionary needs as human beings. The “stair-step” design is an effort to avoid the limitations of the stacking model, which is too vertical and static, while retaining a developmental perspective. Needs to the left are both deeper and earlier than those to their right, just as needs to the right are higher and later than those more leftward. I don’t want to dispose entirely of the idea that our needs open up in some kind of sequence (thus the left-to-right progression up the stairs). But with each “step” a new element of tension is added to the mix, further complicating the prospect of self-actualization as we go along. So let’s dig a little deeper into each of these five human needs, and try to get a feel for how impossibly human we really are. I define security as the assurance an individual is encouraged to have by virtue of being grounded in a reality experienced as provident and supportive. By identifying it with an inner assurance I am deliberating separating security from the question of whether the individual’s reality is actually provident and supportive. 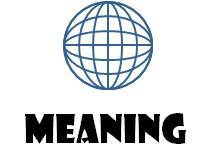 In other words, security is an internal perception more than it is a description of external conditions. Typically when our biological urgencies for air, nourishment, protection, and bonding are met, the “idle speed” of our nervous system gets set to an RPM that is relaxed, calm, and open to our surroundings. The organism-environment duality is perceived as auspicious and favorable to life – in Einstein’s words, the universe is friendly. We needed security – this assurance – when we were born (even before), and we haven’t stopped needing it ever since. But soon we need more than just to feel secure – not just more secure, but something more than security alone. Our developing nature opened out to reality in quest of enjoyment: pleasure, amusement, happiness, and excitement. To enjoy something is to find joy in it, or to take joy from our experience of it. While security has to do with the mood or mode of being as calibrated in our nervous system (anxious or calm, recoiled or open to reality), enjoyment is about emotional engagement with what has our attention. Because enjoyment requires an open engagement with reality, this need introduces “competition” with our need for security. While security is basically passive in seeking confirmation that reality is provident to the animal urgencies of our body, our need for enjoyment compels us to actively seek what will bring pleasure and excitement. Opening ourselves in this way to reality, however, exposes us to pain and harm as well. It seems we can’t have total security and real enjoyment at the same time. Perhaps the first efforts at meaning-making in humans were inspired by a need of consciousness to ascend to a vantage-point on reality where the inevitable suffering of life can somehow be reconciled and included in a single worldview. We need to know that the pain, hardship, and bereavement that haunt our happiness are somehow worth it. Beyond this therapeutic function of meaning, though, is the way it crisscrosses reality with threads of causality and purpose, value and significance, identity and reference that our minds can inhabit. This web of meaning gives us a way of connecting the dots of experience, imagining patterns across the complex features of existence and otherwise confusing events of our lives. We have only recently begun to appreciate to what extent meaning is in the eye of the beholder – not “out there” in reality but projected by our minds for the purpose of making sense of things. Why can’t human beings just be content in our webs and worldviews? Why do we grow bored with the agreements and interpretations that once contained our experience so neatly? Why do we keep asking questions and challenging the answers? What is it that compels us to look over the wall, push the envelope, and try new things? I think the answer is that we have a need for transcendence, to “go beyond” whatever boundaries and horizons define our current reality. (Let’s not forget that these boundaries and horizons are not actually in reality itself but projected onto it by our minds.) Perhaps something in us knows that meaning is a self-made illusion, and that genuine contact with reality requires a daring outreach into the unknown. Perhaps the fact that we are dynamically alive and continuously evolving beings makes it unavoidable that our comfortable castles in the air eventually become too small to contain our spirit. 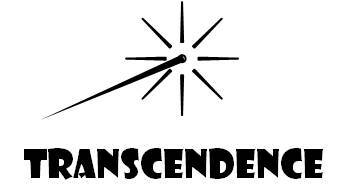 I don’t want to confuse this need for transcendence with a metaphysical interest in the so-called Transcendent. This isn’t a “need for god” or for the supernatural in our lives. The compulsion to go beyond meaning is an implicit acknowledgment that humans need not simply more meaning, but something more than meaning. Since even our highest and most sacred meanings are still only qualifications on the present mystery of reality, we need to go beyond even these in our quest for authentic being. 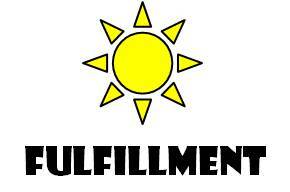 I am using the term “fulfillment” here to get at the idea of self-actualization, where nature is perfected, as it were, in the mature and fully developed individual. It is common in the traditions to envision this ideal state as the liberated, exalted, and glorified personality, depicted in theism as a deity who actively expresses and models the virtues of our higher nature. This is one of theism’s important contributions to our human adventure: What we might call “the moral character of god” (again, referring to the mythological deity) serves to attract and inspire our ethical formation in the direction of those qualities upon which human well-being and genuine community depend. With fulfillment, these virtues and attributes are gradually internalized by (or awakened in) the aspirant, opening out into new varieties of post-theism where the need for an external role-model is finally transcended. The question remains whether this destiny of human fulfillment is even possible, given the inherent tension among our developmental (and evolutionary) needs. Inevitably, it seems, tension produces conflict, and conflict – internal and interpersonal – gets us tangled in neurotic contradictions, chronic frustration, inter-tribal hostilities and more suffering. We grip down on the wrong things for security. Our craving for enjoyment becomes addiction. We surrender truth for meaning. We opt for self-improvement over transcendence. And in the end we sacrifice fulfillment on the altar of security, forfeiting our higher nature for the sake of a few petty ego conceits. Perhaps we are impossibly human. A friend in an engagement community that I weekly attend asked recently, “What, exactly, goes into this idea of ‘creative authority’?” – an idea (or ideal, really) that occupies a strategic position in the theory of human fulfillment that I’ve been working to clarify in a conversation on post-theism. It is critically important that post-theism not be defined as a reactionary movement, as an effort to throw off theism and its antiquated god for the sake of something like secular materialism or atheistic humanism. Quite the contrary, post-theism holds a vision for what life is like after (“post”) theism – not after theism has been discredited and finally abandoned, but when it has served its evolutionary function and releases the self-transcending human spirit into a new existence as an enlightened partner and co-creator in the great community of life. Before I offer a response to my friend’s question, let’s quickly recall where “creative authority” fits into my broader theory of human fulfillment. We started life fully immersed in an animal nature (body), with all its biological requirements and urgencies keeping consciousness oriented outward to the resources we need. Gradually, and with success in satisfying our basic needs, awareness began to open inwardly as well – not just to this pang or that urgency inside the body, but deeper into a sense of our grounding in a provident mystery. This sense of provident grounding is registered in the nervous system at an unconscious, visceral, or “gut” level, which is why I call it animal faith. Immediately with our birth our tribe went to work shaping our identity (ego). Through guidance, directives, feedback, and discipline we were given clear (but sometimes not so clear) messages about what it means to be a good boy or girl, a member in good standing, a person of value. Because the foundations of identity are constructed early on and are primarily emotional in character, I call the construct of identity itself our inner child. 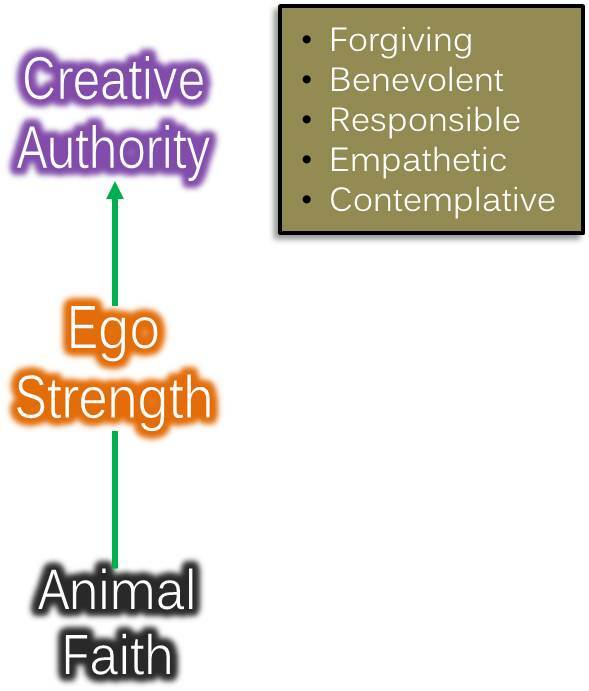 With sufficient animal faith underneath us, supported by the caring and responsible influence of our tribe, identity can achieve a level of healthy development known as ego strength. Key attributes of ego strength are a stable personality, balanced mood, and a unified sense of self. This is where things really get interesting, since social security, group membership, shared purpose, and personal value are like four sides of the box containing a meaningful existence. Why would we ever want to leave? Where else would we possibly go anyway? Outside the box is meaninglessness, nihilism, absurdity, and certain despair – or at least the heresy of someone else’s meaning. This is a necessary part of our programming. 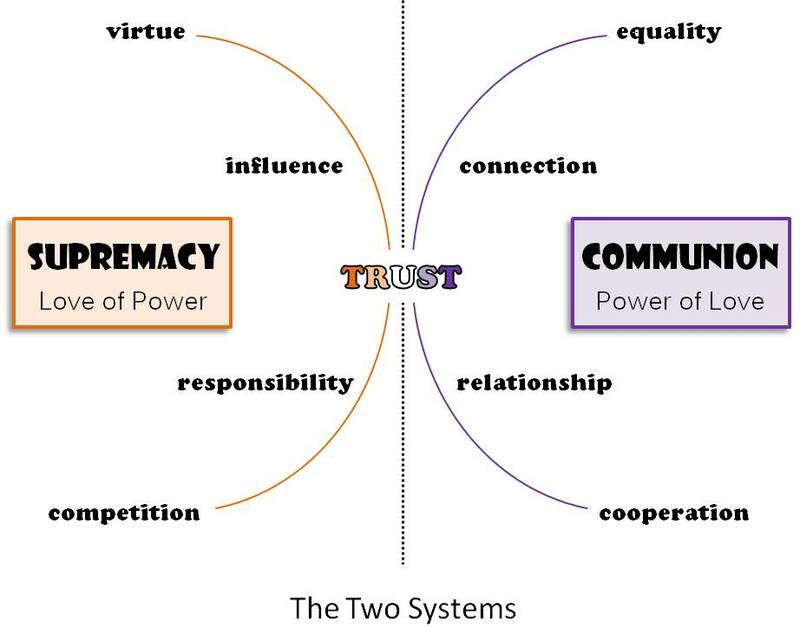 An essential part of this project of identity construction is the tribe’s representation to the youngster of what a “good person” looks like – not in physical appearance necessarily, but how a good person behaves, how they treat other people (insiders and outsiders), what values they hold, how they handle conflict and common challenges of life. Beyond merely listing these features in something like a bullet-point format, this ideal of a good person is represented in the role models of parents and other respected adults, but also in stories that depict super-human, supernatural superegos who are engaged to the tribe as divine protectors and providers. The deity, for example, who is worshiped for having shown compassion to the tribe when they or their ancestors were lost and without hope, exemplifies this degree of loving concern and will typically have expectations (in the form of injunctions or commandments) on the community to aspire toward a similar level of compassion for others in need. In this way, worship, as the exaltation into collective aspiration of the deity’s praiseworthy virtues, flows naturally into morality and obedience for the tribe. We should acknowledge a flow in the opposite direction as well. The particular historical concerns currently pressing upon a tribe’s existence will “select” those divine attributes most needed in the moment, or possibly even alter the portrait of god in story and theology in order to provide some timely justification. Neglect of the needy, persecution of outsiders, and violence against unbelievers are either dug up from the mythological archives – you can always find a verse for that in the Bible – or else insinuated into the script of orthodoxy from the local church pulpit. A similar dynamic as what we find in parental role models with their children is also present in theism proper: When a virtue demonstrated by the exemplar is imitated successfully by the aspirant (child, devotee) and internalized – which means integrated into the individual’s ethical character and way of life – an external representation is no longer required and can be transcended. Because the virtue (say, of forgiveness) now informs life from within as an authentic expression rather than from outside by imitation, we might say that the individual has progressed to a post-parental, post-theistic mode of being. True enough, there are complications that can slow this process down and even arrest it altogether, but in this post I want to pretend as if development has advanced according to design – and by “design” I mean according to the inherent tendency of a human being to mature into a self-actualized adult. When this sequence of obedience, aspiration, internalization, and authentic expression reaches fulfillment in the stable, balanced, and unified personality, ego strength is achieved and the individual is finally capable of a new mode of being and a higher way of life. Earlier concerns over belonging and recognition, security and freedom, of maintaining membership in the tribe as a person of value, are no longer the preoccupations they once were. Consciousness has shifted to a new and higher mental location, one that supports a realization of deep communion and universal participation – or more simply stated, the realization that All is One. At this point the tribe has given up custodial possession of the individual (as ego), and the individual begins a new life “after god” (the lower-case ‘g’ referring to the patron deity of the local tribe). This higher mental location for consciousness is what I understand by soul – not “the real me” inside a body or just a new (spiritual) name for the ego, but the individual’s existence as grounded in mystery and connected to all things. A perfect word for this new arena of life, combining deep communion and universal participation, is community – from com (with, together) and unity (as one). Here the awakened soul understands, by direct intuition and not hearsay, that the separation so important to establishing a clear identity for the ego was really a delusion of consciousness at that level. In some sense, the entire tribe is under this same spell, which is probably why spiritual awakening is frequently described as the breaking of a trance and coming to see things as they really are. So this is what I mean by “creative authority”: the individual taking for him- or herself the authorial rights to a new story. Siddhartha’s new story was the dharma of his Four Nobel Truths and the Eightfold Path. Jesus’ new story was his gospel of forgiveness and solidarity with the poor. Martin Luther King, Jr’s new story was about a world where our children won’t be judged by the color of their skin but by the content of their character. Each of them stepped intentionally and courageously into creative authority, come what may. With that, I can finally respond to my friend’s question about what creative authority entails. In the diagram below are listed five virtues that I find in the dharma, gospel, and Dream stories just mentioned; but they are also well represented across countless others. 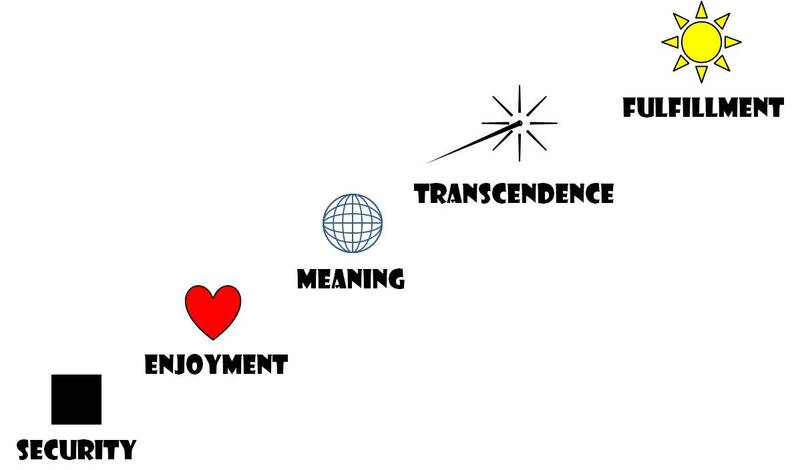 Since the diagram depicts the path of human fulfillment organically, as growing up from a body-centered mode, through an ego-centered (and theistic) mode, and into a soul-centered (post-theistic) mode of being, my visual display of these five terms is meant to be interpreted in a similar bottom-up fashion. Creative authority is contemplative in the way it holds a mindful perspective on reality. This includes a big picture and long view on one’s place in the great community of life. Contemplatively the individual acknowledges that s/he is both a participant in and a manifestation of oneness. The opposite of contemplative mindfulness would be something like conviction, where one’s beliefs about reality actually separate the mind from reality. A conviction is a belief that holds its owner hostage. Contemplation, on the other hand, opens the mind to the present mystery of reality. With “reality in mind,” creative authority is open at deep levels to the connectedness of things. As a cell in the great body of community, an individual feels the dynamics of well-being or deterioration in the connective tissue of relationships. Empathy is similar to “sympathy” and “compassion,” but adds to these a degree of rational understanding to the direct and spontaneous feeling. In the profession of counseling today empathy is what the helper needs in order to truly help the one who is suffering. Drawing on the big picture and long view afforded by contemplation, the helper can offer perspective and recommendations that have a larger context in mind. The helper is careful not to jump down into the dark hole of suffering for the sake of merely providing some company in the misery, but instead confirms genuine care and understanding while holding open the horizon of possibility and hope. Whereas in the ego realm of the tribe responsibility is about following through on what’s assigned or expected, for creative authority this element of obligation is transcended. The self-actualized adult doesn’t act or refrain from acting because of what someone else (human or divine) might think. In this way, the motivation of responsibility is not externally coerced but rooted in empathy, coming directly out of a grounded and connected life. Within a much broader and deeper context than ego consciousness is capable of grasping, soul-centered responsibility understands that “the right thing” is not always what feels good, gets rewarded, or even promotes individual self-interest. Sometimes, in fact, doing the responsible thing involves transgressing on tribal rules (or divine commands) that perpetuate inequality, prejudice, bigotry, oppression or violence against others. The resulting “conscientious guilt” – willingly bearing the indictment for the sake of a higher good – is something the individual must learn to live with (and care less about). I said just now that the soul-centered responsible adult commits his or her life to a higher good, which is to say that this individual wills the good, chooses the path of well-being, and puts it into action. Benevolence continues the organic progression of creative authority – as one who mindfully holds the big picture (contemplative), deeply understands what is going on (empathetic), uses his or her influence for the benefit of the whole (responsible), and now wills that greater good into an intentional way of life. Most likely the ego was instructed in the importance of having “good will” toward others. The so-called “golden rule” of Do unto others what you would have them do unto you, and the biblical mandate to Love your neighbor as yourself (quoted by Jesus but originating in the Jewish book of Leviticus), are typically limited in their practical application to the in-group where ego is a member. Jesus’ exhortation to Love your enemies and do good to those who commit evil against you (Matthew 5:44) represents a decidedly post-theistic direction, which neither the patron deity of the Judaism of his day nor the patron deity of later Christian orthodoxy was capable of fulfilling. Theism will always have “outsiders,” who necessarily live and perish outside the saving mercy of (the insiders’) god. This, I suppose, is where the real test lies. How far does the benevolent life of creative authority reach? Where is the edge, where is the boundary that defines the extent of lovingkindness? For the ego there must be a limit, past which it is not only dangerous and foolhardy, but positively blasphemous to go. If god will finally cast his enemies into everlasting torment – even if it is out of a reluctant obligation to condemn the sinner – who am I (asks the ego) to presume that god might be outdone? Forgiveness, as “letting go,” concerns more than just our relationships with others, even if that’s where it is most difficult and most urgently needed. Releasing the past allows the individual to take from it the valuable lessons that constitute wisdom, without having to drag an unexamined life behind him or her like – in the wonderful metaphor of Robert Bly’s – “a long, black bag.” We forgive so we can be free to grow and learn and fulfill our creativity authority in the great community of life.